While some of the top level 4.7 sailors did quite well in this Championship, it seems we ended up with two surprise competitors who won the title in each of the boys and girls divisions, and perhaps none might have been more surprised than the winners themselves! 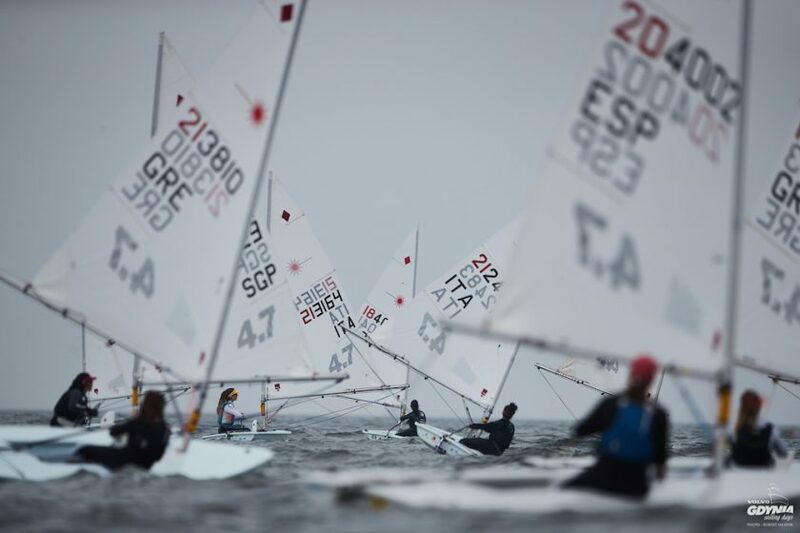 In the girls fleet coming into the day it was a tight battle at the top between two Italians, overall leader Chiara Benini Floriani followed by Giorgia Cingolani who was five points back. Simone Chen (Singapore) and Eline Verstraelen (Belgium) were tied on points, but about 20 points behind second place, theoretically still in contention but needing quite a bit of help. In the first race of the day, Chiara did what she needed to do, finishing 3rd. And with Giorgia Cingolani unable to work her way out of the middle of the fleet, the Championship was effectively over. After the days’ races, the 4.7 Girls Youth World Champion Chiara Benini Floriani said, “I didn’t really have any expectations coming in. This was my first championship, and I had been unable to sail earlier in the year. But in our first full day of racing when the wind filled in, I saw that I could sail in the top group.” With this confidence, she could focus on what seemed to matter most: reading the wind. In this venue, the biggest challenge sailors faced seemed to be figuring out what the wind was going to do next. “Most of the time I managed to get it right, but twice I missed badly and ended up on the wrong side of the course.” To win, sailors would need to sail consistently well and avoid big mistakes. 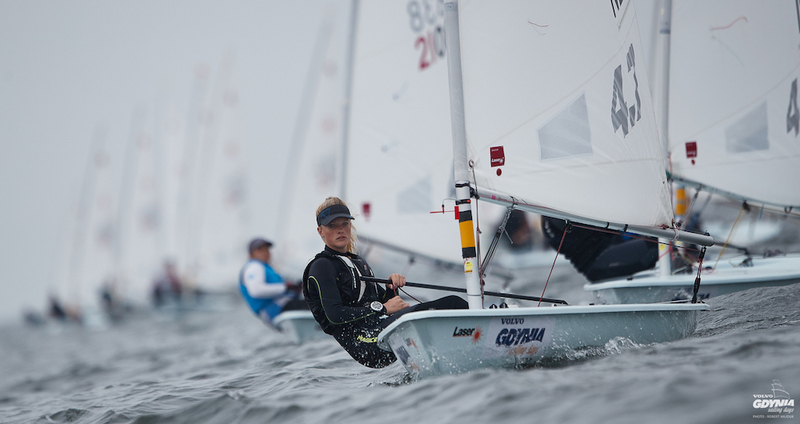 That is just what Chiara managed in Gdynia, finishing in the top five in eight of the eleven races (finishing first in four of them! ), with her lowest finish at 23 before the final race. 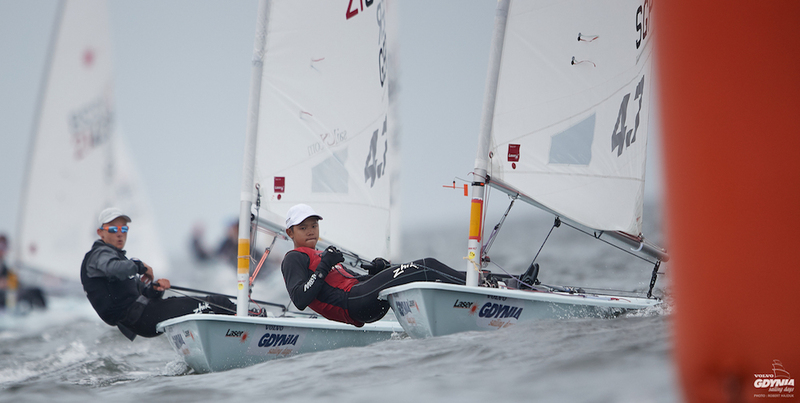 Singapore’s Simone Chen had a very good day with a 9th and a 2nd, and finished as the highest ranked sailor Under-16. Like the World Champion, she sailed consistently well and was usually in the top 10, with few bad races, and ending up only 10 points behind first. 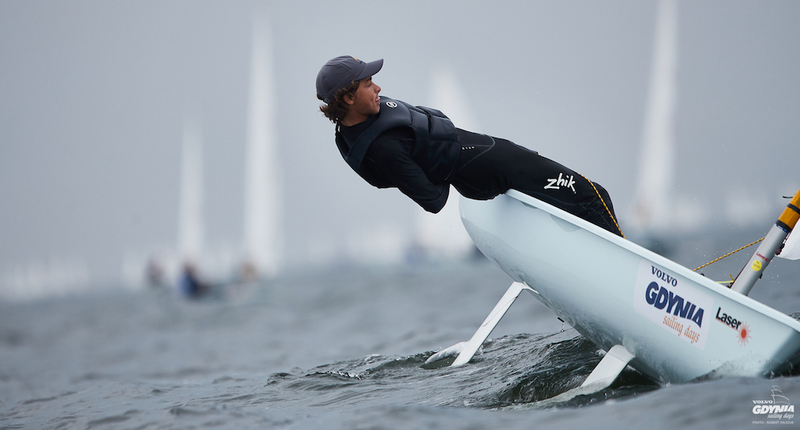 In the boys fleet, Australian sailor Michael Compton had taken the top spot the day before, but the regatta was far from over. One bad race can push you down the standings pretty quickly. 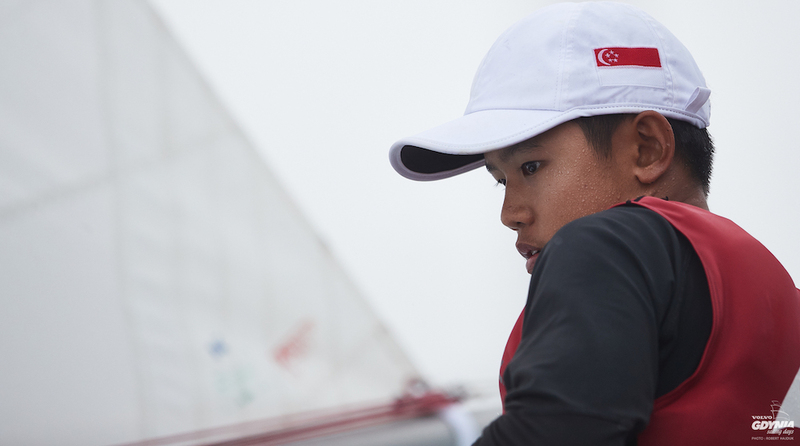 Daniel Hung (Singapore), Stefano Viale (Peru), or Doruk Demircan (Turkey) each might have a chance if they sailed well and had some luck go their way. Congratulations to the new Laser 4.7 Youth World Champions!